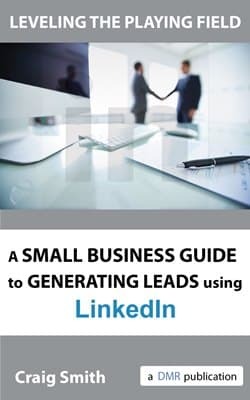 With my eBook, Leveling the Playing Field: A Small Business Guide to Generating Leads on LinkedIn, you will learn how to leverage LinkedIn so your business can compete against and beat your larger competitors for sales. This guide is packed with tips on how to use each of LinkedIn’s core and lesser known, features to your advantage in your sales efforts. In no time you will be using this powerful social network as a key tool in your lead generation and business networking efforts. How to Empower Your Staff to Help You Sell on LinkedIn..The Right Way!